With Halloween right around the corner, you want to make sure you have your decorations up for the trick-or-treaters! Pumpkin carving is a fun activity not only to do with your grandchildren, but even if it’s just adults! Choosing a pumpkin: Choosing fresh pumpkins will make outlining your stencil easier. If you are feeling ambitious, choose an oddly shaped pumpkin and incorporate the shape into your design. Gut your pumpkin: Traditionally, lids of pumpkins are cut off to clean out the pumpkin. If you wish you insert a candle or light, you might want to cut a round opening on the bottom of the pumpkin so the pumpkin can sit over the candle. Either way, clean out the inside of your pumpkin and if you wish, keep the seeds to roast and eat! 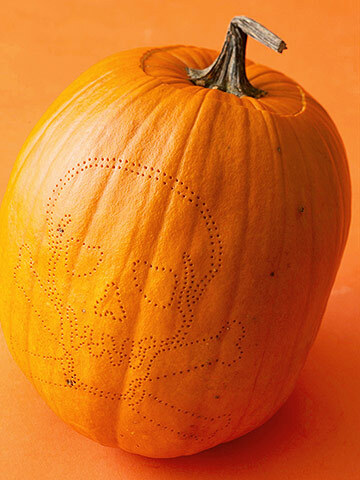 Print and mark your stencil on your pumpkin: You can find stencils online or print your own. Make sure the stencil is to the size of your pumpkin. Tape the stencil to your pumpkin and mark holes in the outline such as it is demonstrated here. Carve: This part should be done by adults. Use craft or paring knives to begin cutting the design out. For more detailed areas, use fine tooth knife. Maintenance: To avoid quick molding and shriveling, coat the exposed edges of the pumpkin with petroleum jelly. If you can, bring the pumpkin in at night and put it in the fridge. Follow this link from Home and Garden for some creative pumpkin carving ideas. Share your pumpkin carvings with us on Facebook and Twitter!